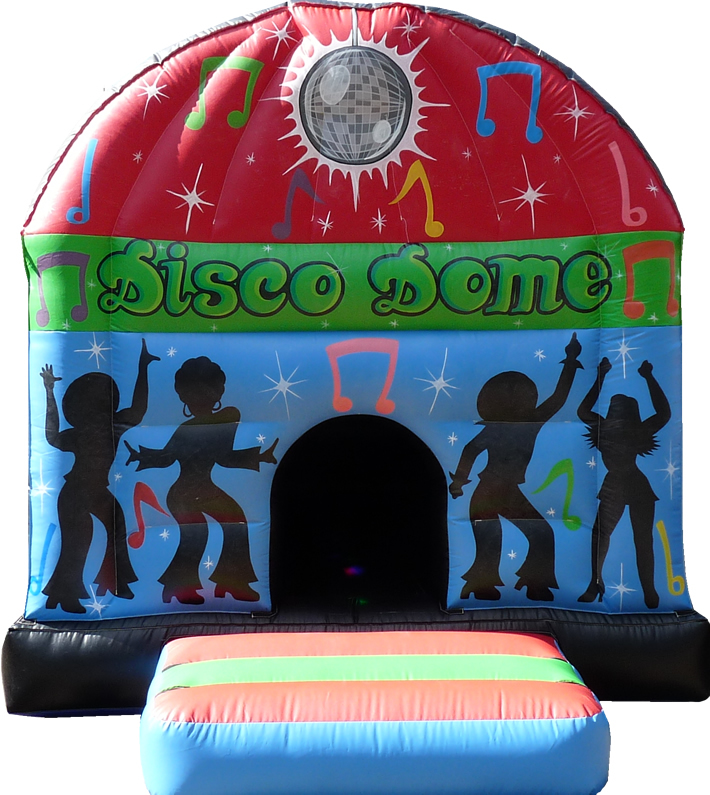 Disco Dome Bouncy Castle is a popular style that features music (Bluetooth required) and lights that flash to the beat of the music. This dome features disco themed artwork. Inside the disco dome the material is black to make the most of the lights. Perfect for parties as children can dance and bounce to the music being played.